Our Greenpoint correspondent found and submitted this exceptional specimen, which comes from Roebling Street in the center of compromised signs, Williamsburg. Doesn't look like a turning truck did violence to this one, does it? 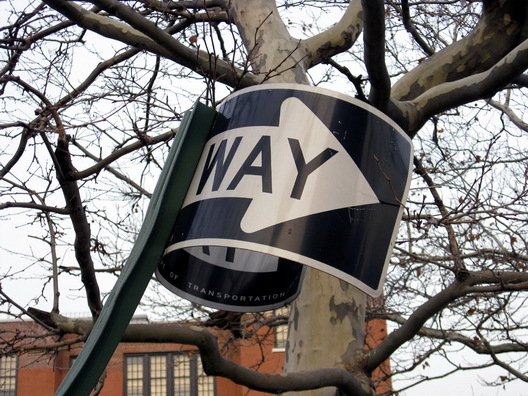 Update: The sign is the work of artist Brad Downey, who has installed some very cool things around Brooklyn and Queens. that's a downey piece-- he fabricates them himself in a factory in brooklyn.